Institutional Investor Memberships are societies of unique groups of executives at investment management firms in the US and Europe who come together at Roundtable meetings and in small discussion groups to meet each other, to discuss critical industry issues and, in some of the groups, to market their services to major clients. II does a great job of organising the whole thing and getting first rate external speakers, be they lawyers, regulators or political experts. The Alternative Investor Institute (AII) is a private membership organization for alternative investment management executives responsible for overseeing institutional business development. Members of the institute come together with the institutional clients and prospects they serve in exclusive settings that foster idea exchange while working to achieve common goals. Our aim is simple: we want to help investors make better decisions by putting them in touch with the best investment thinking in the business! The Asia Institute is a private membership for leading asset management firms looking to grow their Asia Pacific business. Membership provides unparalleled access to senior decision-makers from the largest institutional investors across the region and puts you alongside an exclusive group of your peers. Experience unparalleled access to your network of peers with Asia TraderForum, the premier invitation-only membership network for buy-side traders at leading asset management firms across Asia. Via exclusive meetings, field trips, conference calls and surveys throughout the year, members enjoy exclusive, private and off-the-record contact with other buy-side traders at Asia’s top firms. The Chief Marketer Institute is one of the industry’s only communities focused on the evolving trends in asset management marketing. It serves the asset management industry as a collaborative discussion forum for the senior most marketers at top asset management firms, including Chief Marketing Officers, Heads of Institutional Marketing, and Global Heads of Marketing. The Chief Marketer Institute Europe is the industry’s only community focused on the evolving trends in marketing pertaining to asset management. The mission of the institute is to provide a peer-group networking forum where members privately discuss key industry issues of common concern in a collegial, off-the-record environment. Formed in 2007, The Credit Roundtable, organized in association with the Fixed Income Forum, is a group of large institutional fixed income managers including investment advisors, insurance companies, pension funds, and mutual fund firms. Exclusive access to leading European investors through the European Alternative Investments Institute. The European Institute, founded in 1988, is an exclusive private membership that brings together senior representatives from the investment management divisions of banks, insurance companies, and the leading independent firms in Europe. The European Institute provides this prestigious group with a unique platform to meet with peers, share ideas and stay ahead of the competition. Get exclusive access to leading European investors through the European Institutional Investor Institute. A private membership designed exclusively for the heads of fixed income at leading investment organizations, Fixed Income Forum provides the opportunity for leaders to meet, freely exchange ideas, and build relationships. A private membership designed exclusively for the heads of fixed income at leading global investment organizations, Global Fixed Income Institute provides the opportunity for leaders to meet, freely exchange ideas, and build relationships in a private, confidential environment. For more than 40 years, Institutional Investor Forums has delivered unique, exclusive events—highly interactive forums for senior financial executives and investors to hear from global thought leaders and selected solutions providers. Each II Forums event brings together leading experts in the investment landscape to assess how the investment objectives of institutions are changing and how investment professionals should evolve with them. Meet premier institutional allocators and investment consultants through the Institutional Investor Institute (III), a private membership organization for those who oversee institutional business development. The Institute provides a collegial setting in which members can collaborate with a highly qualified group of senior investment decision-makers to discuss the current environment and investor landscape. In order to foster openness and candor, all Institute gatherings are completely off-the-record with a “no marketing” policy strictly enforced. Institutional Investor Legal Forum (IILF) is a unique organization exclusively for invited heads of the legal function at leading asset management organizations. IILF provides structured meetings and proprietary data and focuses on legal and regulatory trends, as well as the business management issues raised by running a multijurisdictional legal department. 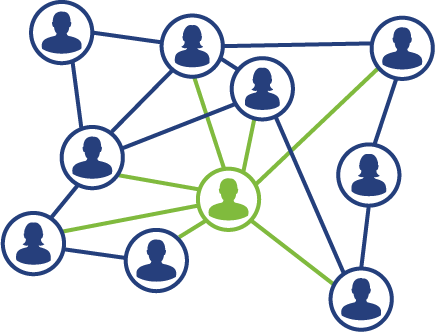 The peer-to-peer information exchange provided by IILF membership is valuable in this period of global re-regulation, as legal budgets struggle to recover from the worldwide financial crisis. IILF’s exclusive peer network enables members to lower risk, cut costs through reduced spend on consultants and law firms, and drive productivity. The Middle East Investor Institute (MEII) facilitates thought leadership and idea exchange among the region’s most influential end investors at government and pension funds, endowments and single family offices. The Institute is structured around a series of private meetings in the Gulf Cooperation Council that allow for candid discussion on strategies and risk in international markets. MEII provides unrivaled opportunities to connect with likeminded peers in a unique, non-competitive environment. Via working meetings designed by end investors, for end investors, MEII members interact with sophisticated allocators from the Middle East who invest globally.It is supported by a private membership group of leading global asset managers. The Sovereign Investor Institute (SII) is a private membership dedicated to the world’s most influential sovereign wealth funds, government pension / social security funds and central bank reserve management funds. The institute provides unparalleled opportunities to stay connected and exchange ideas on important trends and developments in the community. Helping sub-advisory managers optimize returns and build successful relationships in this lucrative market segment. TraderForum is the premier, invitation-only membership network for buyside traders at leading asset management firms in North America. Members enjoy exclusive access to conferences, proprietary research, surveys and more. TraderForum’s invaluable resources give members a competitive edge: off-the-record contact with other buyside asset managers is part of its many membership benefits. The U.S. Institute, founded in 2000, is an exclusive membership for asset management CEOs and their senior management team (Chief Investment Officer, COO/CCO, CFO and CHRO). Each C-Suite office has its own roundtable allowing for candid sharing of ideas and discussion of industry best practices. All meetings are held off the record (no press allowed). Membership is by invitation only.